***NORTHERN EXPOSURE***QUIET AREA***GREAT PLACE TO BUILD YOUR NEW HOME! 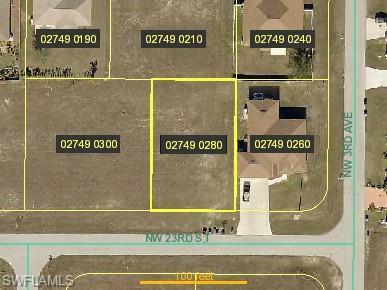 ***NEAR SCHOOLS***NEAR SHOPPING***EASY TO GET TO**DRIVE BY THIS LOT AND BRING OFFERS! Listing courtesy of Janet Heisler of Sea Winds Realty Of Sw Fl Inc.